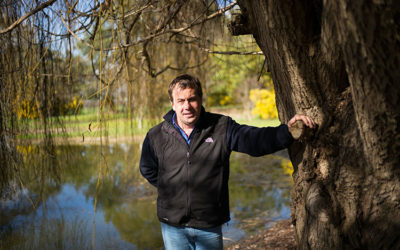 Penley Estate Vineyard Manager Hans Loder. 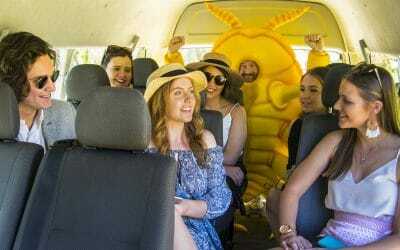 Penley Estate’s location in the Coonawarra region offers many benefits. But one factor that’s constantly top of mind is biosecurity. In response to increasing biosecurity pressure, Hans is improving the farm-gate hygiene systems at Penley Estate. 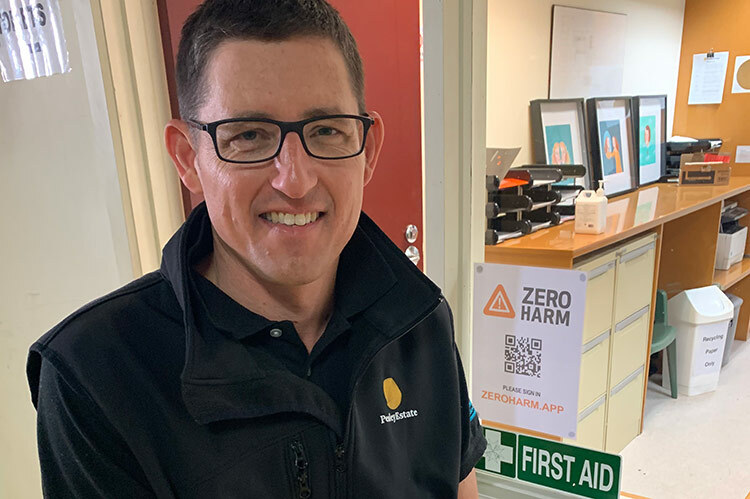 He has recently introduced an electronic visitor sign in system using the Zero Harm Farm app, targeting any person who isn’t a direct employee of their vineyard or winery. On arrival at the property, visitors are prompted to scan a QR code using their smartphone. The QR code is printed on a large sign at the entrance. The code connects visitors to the Penley Estate Zero Harm Farm platform. 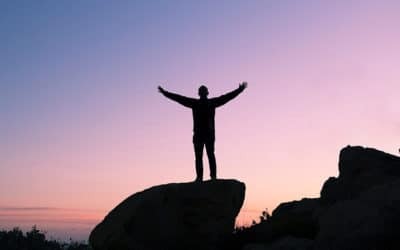 First-time visitors are prompted to set up an account and sign in. Once that’s done, the visitor is taken through an induction process, which includes key information about biosecurity, as well as safe work systems, incident reporting and hazards. Have you come from interstate or further afield? Did you require disinfestation and inspection of your equipment at the border? Please have all paperwork ready for our inspection, as we want to see it too! Have you or your equipment recently been in a PIZ or PRZ? If unsure check: https://vinehealth.com.au/industry/resources/maps/phylloxera-management-zones/ Please be prepared to provide details of where you and your equipment has been in the past three weeks. Where have you and the clothes you’re wearing (including hat or cap) been prior to arriving? Items such as shoes and clothing can inadvertently pick up pests, diseases and weeds. 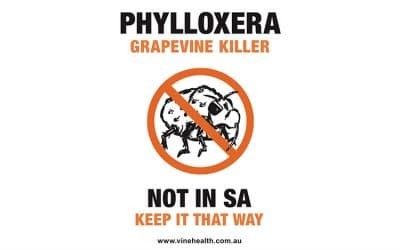 Please ensure they have been washed in hot water, dried in a dryer and footwear disinfested by submersion in 2% sodium hypochlorite solution (bleach) for 60 seconds prior to entering the property. Are you driving a car or piece of equipment? We’d appreciate if you follow a “clean in – clean out” practice and disinfest all items prior to entering the property. At completion of work, use our facilities to clean your equipment prior to departure (this includes small hand tools and technical equipment). Ask whether you can use one of Penley’s vehicles to move around the property. Only walk down vine rows once given approval. Hans said feedback to the electronic sign in system had been positive, with visitors such as contractors reporting that it is easy to use. For Penley Estate, the benefits of the system are far reaching. The management team has a ‘live’ list of visitors to the property at all times and are notified by the app for each property entry and exit. This is key for safety at Penley. And if an incursion does occur, the system can be used for instant traceback of who’s been on the property and when. “Our previous system relied on a paper and pen visitor book. This was inadequate with poor adherence, mainly because there wasn’t a good place to put it, so it was easily forgotten,” Hans said. Hans said the farm gate represents the last line of defence. 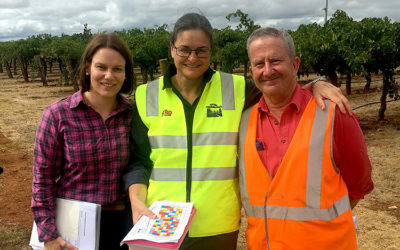 Vinehealth Australia Technical Manager Suzanne McLoughlin said it was great to see Penley taking proactive steps to improve their biosecurity systems. “This is an off-the-shelf program designed for safety, that Penley has innovatively adapted to include farm-gate hygiene. No doubt there will be continued improvement of the program to keep up with best-practice farm-gate hygiene, but the addition of a biosecurity component certainly makes it a more comprehensive business tool,” Suzanne said. 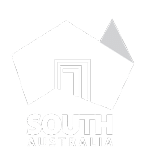 “Our 2018 South Australian Vineyard Owner Survey showed that only 17% of SA growers keep a visitor register, which is concerning. A good sign-in system is an important part of the farm-gate hygiene toolkit.